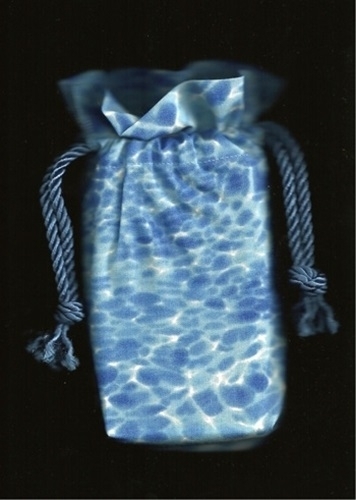 Double Draw Tarot Bags - Element of Water Bag - Tarot Bags, Tarot Cards, Cloths, & More! Bright sunlight reflects off the ripples in the water in this patterned tarot bag. Water is the element of emotion and intuition, making it an appropriate choice for housing a deck of tarot cards! If you're particularly drawn to the element of water, or you need more water energy in your life, this bag is perfect. Many tarot illustrations, especially in the suit of cups, show the element of water.